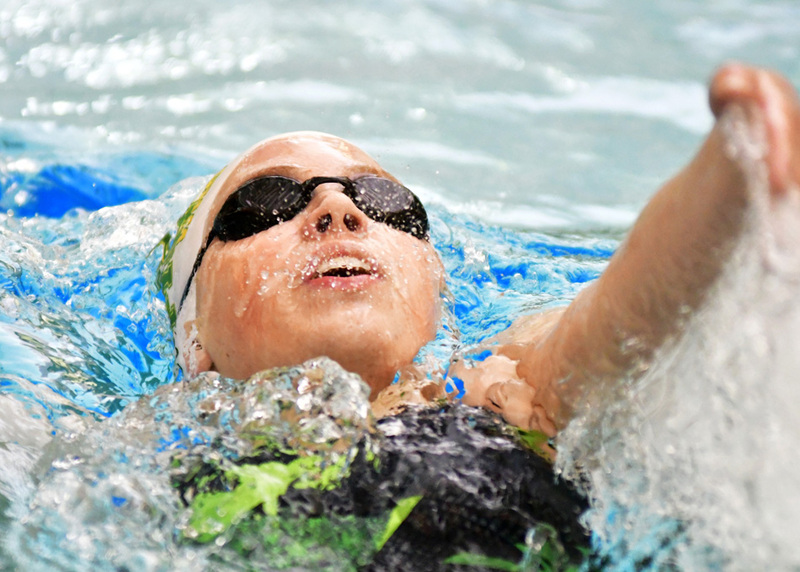 The state tournament series opened Thursday night around the state for the IHSAA Girls Swimming Sectionals. Area sectionals at Northridge and Warsaw saw qualifying for Saturday’s finals. Warsaw is in its customary place among the team championship contenders with 20 lanes filled in the championship round while Wawasee found the going tough in Middlebury. Diving for each sectional begins Saturday morning, with its final rounds mixed into the championship meets which are slated to begin locally at 1 p.m.
Wawasee will have some real work to do if it wants to send an individual to the state finals, but does have a host of swimmers working championship finals. The Lady Warriors have all three relays in the finals, the 400 free relay the highest seed at fourth with its time of 3:59.02. Its most likely possibility at a state berth is from Rileigh Atwood, who is seeded fourth in the breaststroke, but smashed her school record with a 1:07.87 and is within a second of the leader, Jenna Nethercutt of Northridge. Ella Park is also alive in both the 200 and 500 freestyles, seeded seventh in both at 2:01.31 and 5:22.30. The 500 championship flight has all eight swimmers separated by just seven seconds. Kate Jarvis will get one more crack at catching NorthWood’s school record in the 100 free, qualifying for the finals with a seventh-place time of 56.50. The magic number for Jarvis is 55.05, which is Brittani Grove’s record time for the Wood. NorthWood also has its 200 and 400 free relays in the championship finals. Northridge has eight of the 11 top seeds going into Saturday, Elsa Fretz tops in the 100 and 200 freestyles, Sydnee Emerson in the individual medley and butterfly, and Nethercutt in the breaststroke. Concord had MaKayla Miller in the 50, Caitlin Stauffer in the 500 and Maddisen Lantz in the back. Ridge has the upper hand in all three relays, and will post 23 championship lanes, whereas Concord has just 20. Warsaw is in good shape in the team chase, with 17 swimmers qualified for championship swims and all three of its relays in play. 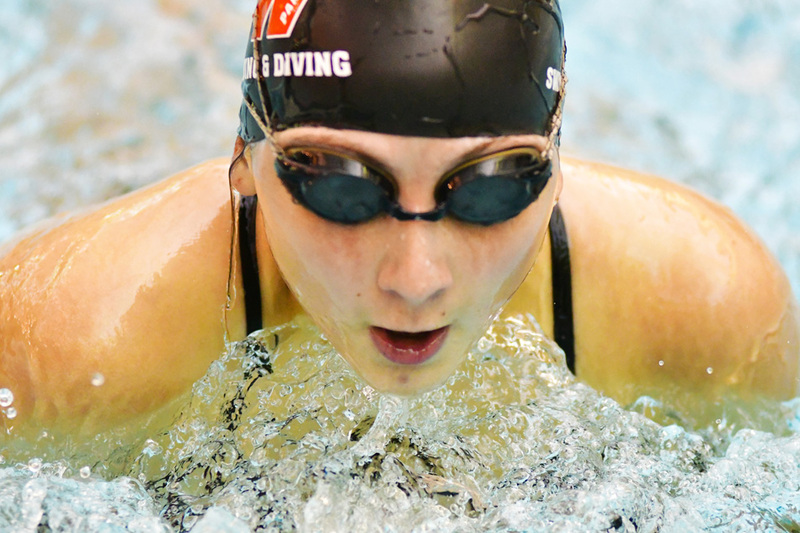 The Lady Tigers, however, qualified just one as the top seed – Delaney Wihebrink with her 1:08.57 in the breaststroke – meaning Warsaw is going to have to really work for titles and automatic state berths. Only two Warsaw swimmers were second in qualifying, Wihebrink in the IM at 2:17.94 and Laurel Moeller in the 200 free at 2:05.50 and 5:42.66 in the 500. Wihebrink will be chasing Rochester stud Abigail McCarter in the IM, a second faster, and Moeller is almost six seconds back of Manchester freshman phenom Halle Briner in the 200, who posted a 1:59.97, and 18 seconds back of Briner in the 500 with her 5:24.18. Olivia Herman has a decent shot in both the 50 and 100 frees, seeded third in the 50 and fourth in the 100, Lauren Kuhl is third in the back and fourth in the 500, Taylor Gunter is alive in both the IM and fly, Morgan Bruner in the 50 and 100, Leah Reinholt in the 100 and back, Bella Coffing in the 50, and the breaststroke also has Ella Knight and Mady Ray. Tippecanoe Valley qualified just three lanes for the finals, Olivia Livengood in the fly, Mayde Fear in the back and the 400 free relay. NorthWood’s Brittany Hershberger competes Thursday night in the sectional prelims at Northridge.